Last February my skin was in a bad way. A very bad way! Winter made my usually combination skin a dry, flaky mess that I couldn’t apply makeup over. 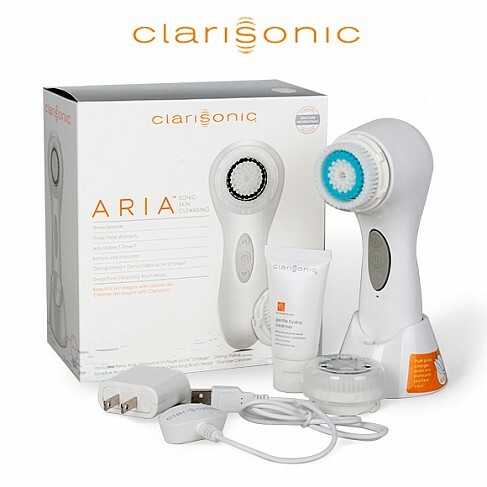 I tried every scrub, moisturiser and oil to no avail, then for Valentines Day my partner bought me the Clarisonic Aria. Now it’s pretty expensive, so I know he was worried I’d never use it, but a year on I absolutely love it! When you buy the Clarisonic, it comes in a pack with a charger, a clip on brush head, a mini face soap and a two year guarantee for peace of mind. Extra brushes or cleansers can be purchased separately. Below is a photo of the full Clarisonic pack. I use the Clarisonic most days for two minutes on the medium setting, because even for someone as lazy as me, two minutes a day is do-able. Whilst it helps with blemishes, dry skin and more, it wont eliminate skin problems completely, but it definitely helps. 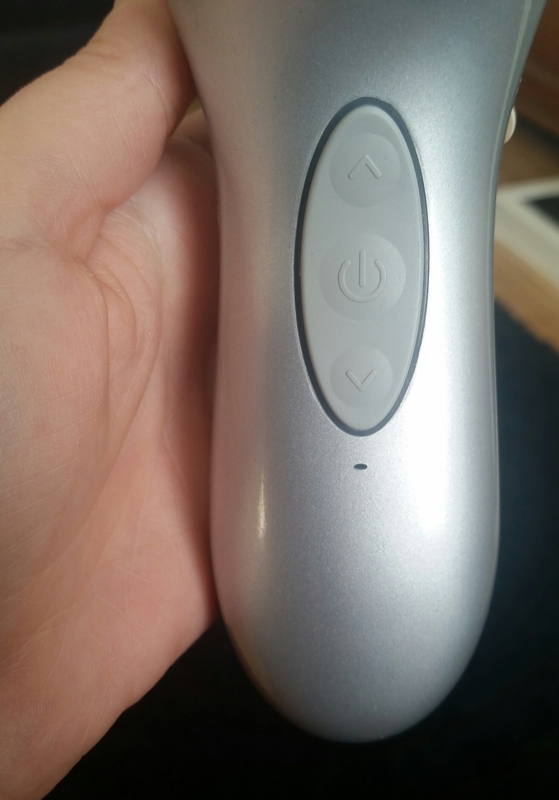 Below is a close up of the on/off button, speed control and timers on the Clarisonic brush. I only charge the Clarisonic every few months or so, which is great because it does take a long time to reach full battery. I replace the brush heads every two months, as they carry bacteria and lose firmness. And finally, I use liquid soap and warm water to clean the brush head a couple of times a week. Let me know if you’ve tried Clarisonic or a different facial brush. 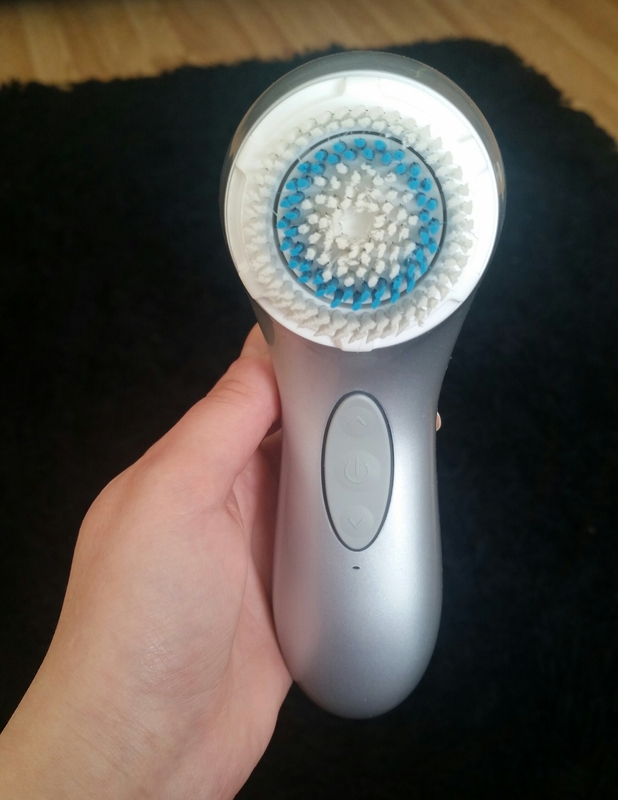 Glad you have had a good experience with the Clarisonic! It saved me from my dry, flaky skin as well. However, I’ve had mine for around 2 years now and have found that I need to charge it more often than I used to. Not a huge problem, but would’ve been nice if the battery lasted as long as it used to. I love my Clarisonic as well! My face always feels super clean afterwards. Like polishedandinsired said, I’ve had mine a little over two years as well and I am also having to charge mine more often then in the beginning. I have used Clarisonic for over a year. My only complaint is that even the mia2 is too bulky. I am considering switching to the clinique one. It is way smaller. I just read that clinique came up with a new ‘head’ for their brush. It is a metal piece haha perhaps it really is the perfect time to try.